If you install any Adaxes component (Adaxes Service, Administration Console, Web Interface, etc), Adaxes ADSI Provider is installed by default. 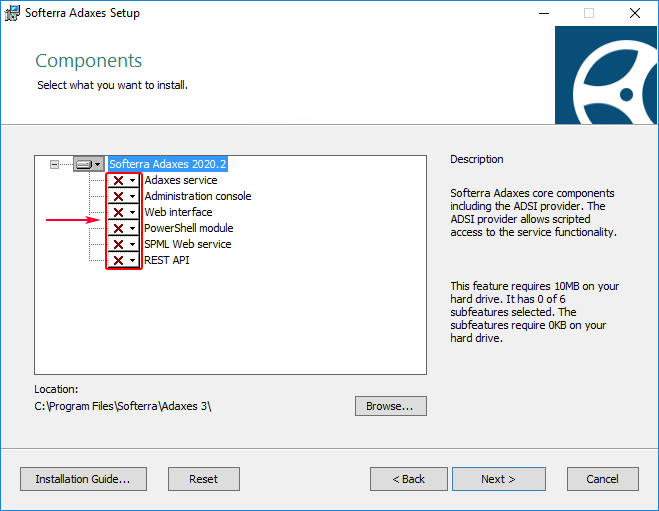 This article explains how to install only Adaxes ADSI Provider, not installing other Adaxes components. On the Select Components page, deselect all components. Click Next and finish installation by following the instructions in the wizard. <path> is the directory path where the MSI file is located.